AccuSharp Natural Arkansas 3-inch Stone with Pouch | BUDK.com - Knives & Swords At The Lowest Prices! 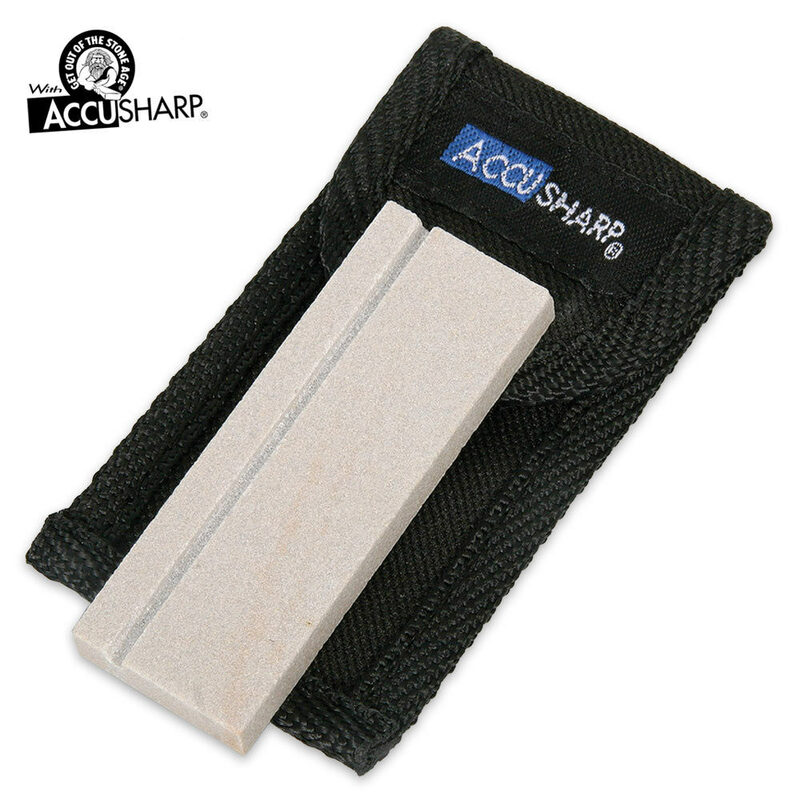 The AccuSharp Natural Arkansas Pocket Stone Knife Sharpener is great for sharpening straight edge blades and all types of steel. This stone is a great tool to have on hand! Includes a carrying pouch with a built-in belt loop.